Broken skin gives an entryway to disease-causing pathogens into the body. Healing the skin as soon as possible is therefore very important to maintain good health. If the cuts are limited to the epidermis, or the skin’s upper layer, you may not need to visit the doctor. However, for deeper cuts and wounds, you would need immediate first aid -- and maybe even a trip to the emergency room. 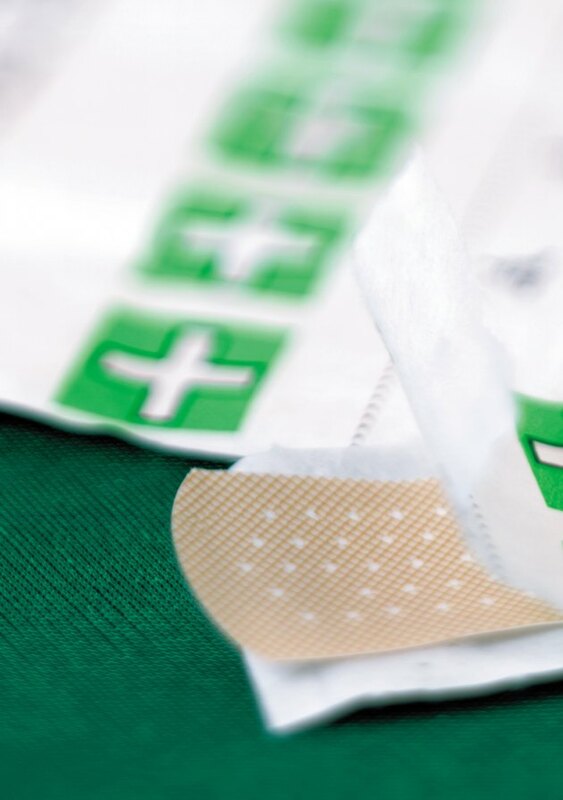 Stop the bleeding by applying pressure around the wound using a clean piece of cloth. Keep applying the pressure for at least 20 to 30 minutes. Clean the wound with water and an antiseptic solution when the bleeding stops. Apply fresh aloe vera gel on the wound. The book “Prescription for Herbal Healing: An Easy-to-Use A-Z Reference to Hundreds of Common Disorders and Their Herbal Remedies” suggests aloe vera gel for speeding the healing of cuts and wounds. According to the book, aloe vera gel activates the immune system cells, allowing them to fight infection and promote healing. This gel has anesthetic properties that prevents itching and swelling of the cut. Consult a doctor before using alternative treatments. Apply a clean bandage on the wound. This will help prevent bacteria from entering into the opening in the skin. Change the bandage every day, especially if it becomes wet. Remove the dressing when the skin has sufficiently healed. Exposing this wound to the air can help hasten the healing of the wound. Keep a watchful eye on the wound. If it seems to be deteriorating, the wound may need medical attention. Apply remedies for healing broken skin only after first aid has been given. Can Jujube Fruit Be Good for Diabetics?